The Junior World Cup players of the 1993 charted new grounds when they rallied around 23 years later to honour their coaches and doctor and showed compassion to assist an icon to the world of hockey in Malaysia in his own rights. The players organised a coaching clinic for the UniKL Under-15 development squad under the auspicious of Kuala Lumpur Hockey Association, a friendly match against the youth team and an appreciation get-together after that on Saturday at the Bukit Jalil Hockey Stadium and a dinner later in the night. While they honoured their coach C. Paramalingam and team doctor Datuk Dr Ramlan, another person whom all these players had gathered for was former sports journalist, blogger and a man who has served hockey in different capacities – team manager, official, hockey critic – and also worked at the Sports Ministry, National Sports Council and Olympic Council of Malaysia, Satwant Dhaliwal Singh. 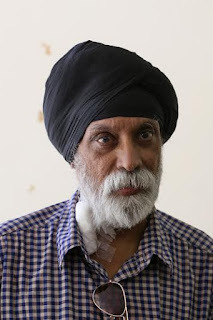 Satwant was diagnosed for diabetes last year and has since had his right toe amputated, had kidneys failures in April and undergoing dialysis and recently underwent a cornea transplant after losing sight in one eye. 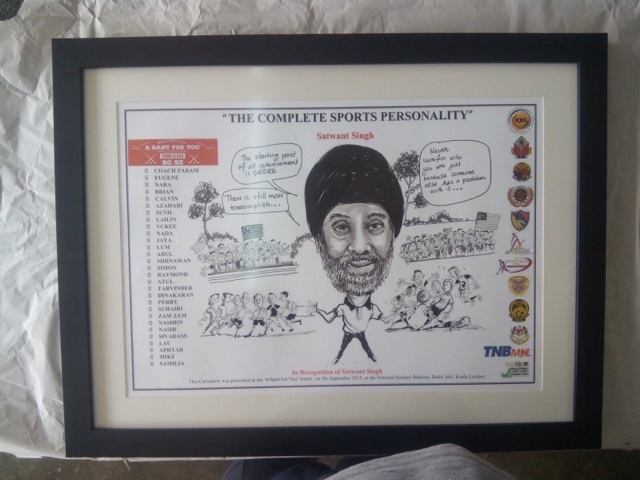 Camaraderie best summed these junior players who first met in 1990 to raise funds together with the team officials to assist Satwant to whom he has been a fatherly figure, mentor and advisor and charted many of their paths both in the sports and career. 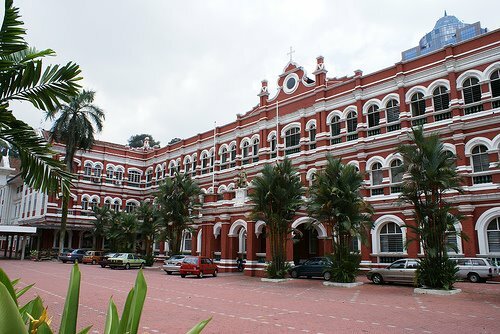 The Class of 91-93 as they called themselves together with the officials – a total of 43 of them – raised RM27,500 – which was presented to Satwant to aid him with his medical expenditure. This group of players go back to December 1990 when an open trials was conducted in Klang and 500 players turned up. 50 were selected after the three days trials and was later reduced to 25. This squad went to win the 1992 U-21 Asia Cup in Malacca to qualify to play in Barcelona. 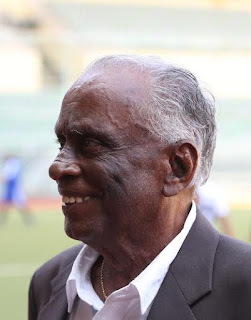 Planning for the event began six weeks ago by few players – Eugene Lee Cheng Wah, Maninderjit Singh, I. Vikneswaran and M. Jayamaran – which included contacting the players by setting up a group forum via whatsapp, organising the coaching clinic and other details for the event. 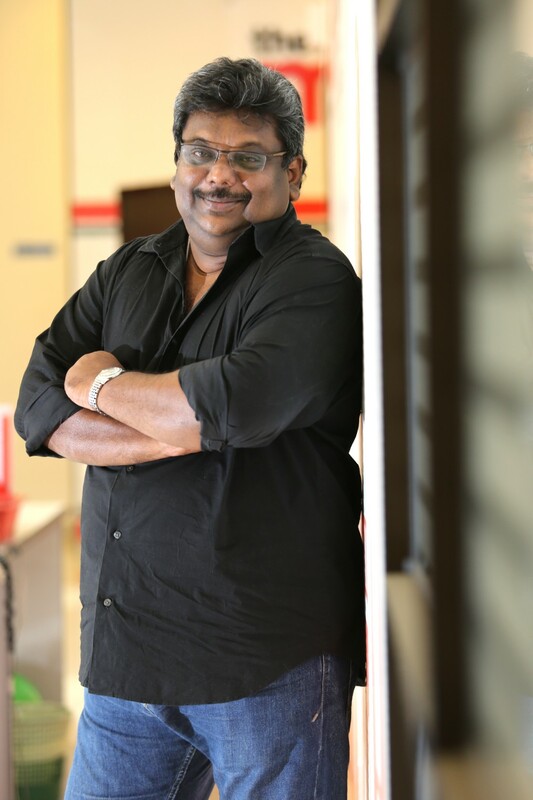 Mainderjit said Eugene despite being based in Johor, played a key role to take charge of the event and the group is indebted to him to make this event happen. Dr Brian Jayhan Siva made the trip from Perth where he is based now. “When I was told of the event and especially to raise funds for Satwant, I made it a point to be present,” said Brian, a kidney specialist. “This group is blessed with big hearted people who made no hesitation to assist in the fund raising. Satwant is close to the players and he has supported this team and helped many players to achieve and grow to be who are today,” said Mainderjit. 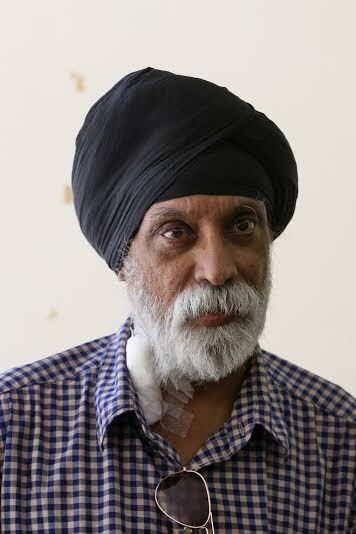 Satwant was overwhelmed by the gesture of the Class of 90-93. 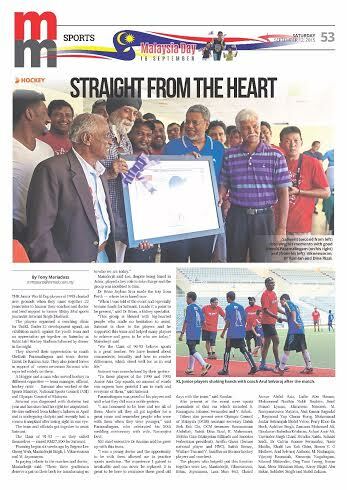 “To these players of the 1990 and 1993 Junior Asia Cup squads, no amount of words can express how grateful I am to each and everyone of them,” said Satwant. Paramalingam was proud of his players and said that what they have done was a noble gesture which is difficult to come by these days. “I am really honoured to be here today and see all of them. 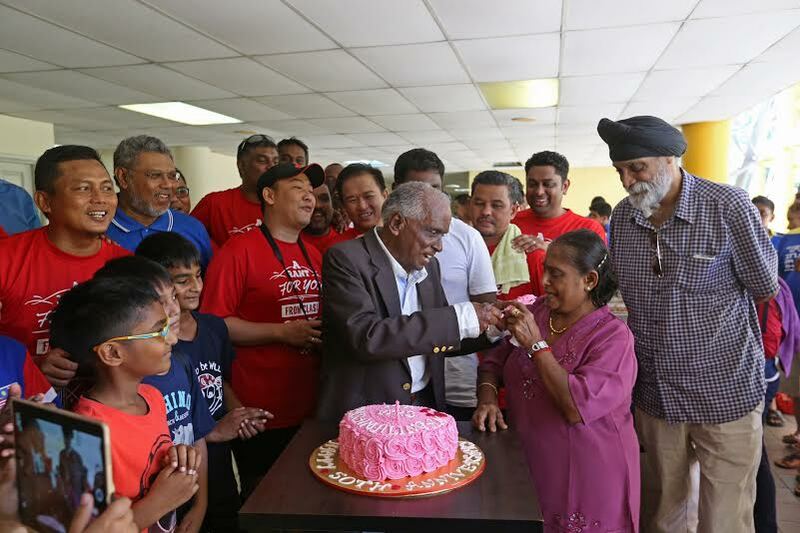 Above all, they have all got together for a great cause and remembered people who were with them when they were young and guided them,” said Paramalingam who celebrated his 50th wedding anniversary with his wife Navarojini Devi. 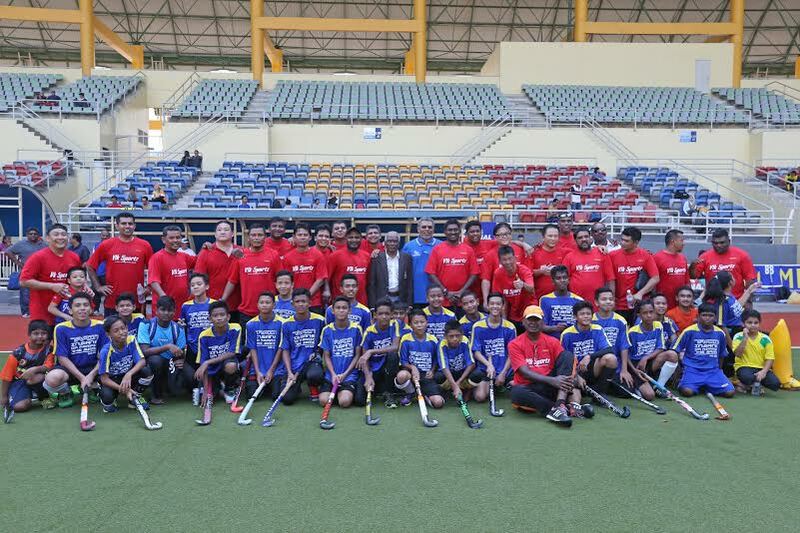 Datuk Dr Ramlan Abdul Aziz, the CEO of the National Sports Institute said that he drew up with this team. “I was a young doctor and the opportunity to be with them, gave me an opportunity to practice sports medicine. 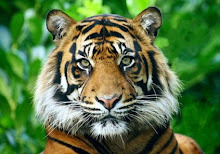 The experience I gained is valuable and can never be replaced. 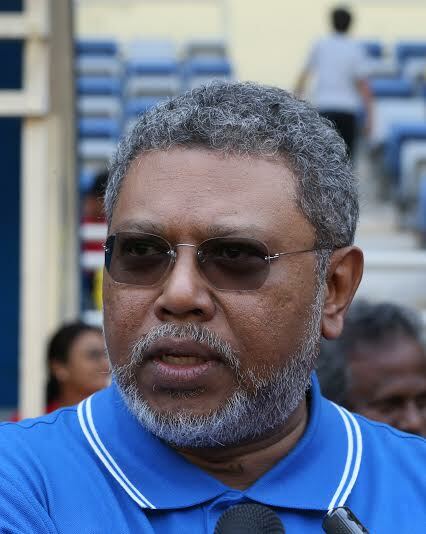 It is great to be here to reminisce those good old days with the team,” said Ramlan. Also present at the event included sports journalists of that era which included S. Ramaguru, Johnson Fernandez and V. Ashok. Among the others who came to tribute to the team and Satwant included Olympic Council of Malaysia (OCM) assistant secretary, Datuk Sieh Kok Chi, OCM treasurer Rosmanizam Abdullah, Datuk Dina Rizal, K. Maheswari, Melvin Chia (Malaysian Billiards and Snooker Federation president), Arrifin Ghani (former national player and HNC), Satish Kumar, Wallace Tan and V. Sasidharan (former hockey players and coaches). 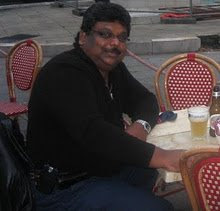 Perry Khoo Eu Hock, Maninderjit Singh, Aphthar Singh, Zamzam Mohamed Ali, Dinakaran Baliedaa Krishnan, Azhari Amir Ali, Tarvinder Singh Chaal, Sivadas Naidu, Suhairi Saidi, Dr Calvin Ronnie Fernandez, Nasir Maidin, Khalil Lau Kok Chim, Simon C G Mathew, Arul Selvaraj Anthoni, M.Nadarajan, Vijayraj Kannaiah, Kunaraja Nagalingam, Edward Makender, Ong Toon Leong, Imran Saat, Meor Mahzian Musa, Azroy Majid bin Abu Bakar, Sukhdev Singh and Mohd Zalizan.